When I join in the team, the piece was already had its unique identity. Additional lighting should have fit in the piece’s already established aura but also open up a new dimension for the dancers to extend the piece. The piece was very minimal and clear in the use of space and body; additional light should have been acting in the same manner. I decided to use moving light stripes, which are, form wise, continuation of the frames that are on the stage. I wanted the light stripes functioning conceptually besides being graphic elements. 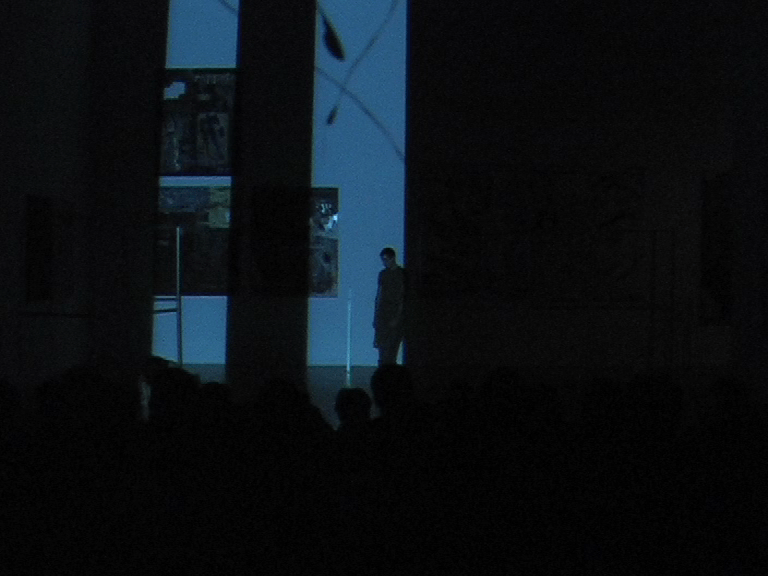 Performers on the stage are creating – or finding themselves in – a strange and unknown territory, I used the light stripes to add the third person’s existence into the space, that could have been the spectator’s point of view or the big brother. 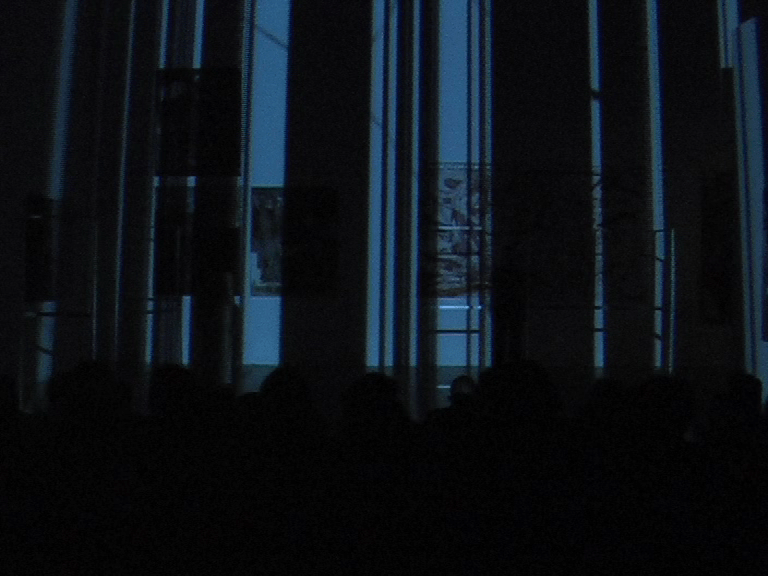 Performers had to react to the light, but also the spectators are expected to react since the definition of the space that was presented by the performers for the first ten minutes of the piece, is suddenly broken and changed to the space where the spectators in as well. After that change in the territory, the light stripe replaces the frames on the stage, which redefines the territory. A game of power, existence and governing starts between the bodies and either the light or the definition of the space by the light.